DMV report reveals Apple's self-driving car was rear-ended while in autonomous mode. Developing the technology to power tomorrow's autonomous vehicles is no easy task and like Google before it, one of the cars in Apple's growing fleet of self-driving Lexus SUVs has been involved in its first crash. The Cupertino-based company disclosed that one of its vehicles had been involved in a crash on August 24th in a report to the California Department of Motor Vehicles. 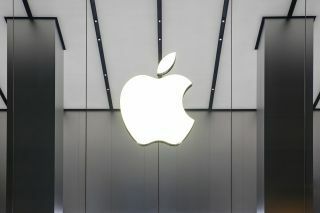 Apple revealed that one of its Lexus SUVs had been rear-ended at low speed by a Nissan Leaf as it was getting ready to merge onto the Lawrence Expressway in California's Bay Area. This is the first time that one of the company's cars has been involved in an accident since it began testing last April. Apple's Project Titan began testing three Lexus RX450hs equipped with sensors last year before the project was expanded to include 55 vehicles in May. According to the company, the vehicle involved in the crash was travelling at less than one mile per hour in autonomous mode when it was rear-ended by a Nissan Leaf travelling at 15mph while waiting for an opening to merge on to the highway. Luckily no one was injured in the accident though both cars suffered damages. In contrast to other companies that are creating their own self-driving cars, Apple instead appears to be developing a system that it could one day sell to automakers. California DMV figures reveal that Apple's crash was the 95th autonomous vehicle collision reported in 2018 and we will likely see similar incidents occur as tech companies and automakers race to develop the world's first truly self-driving car.